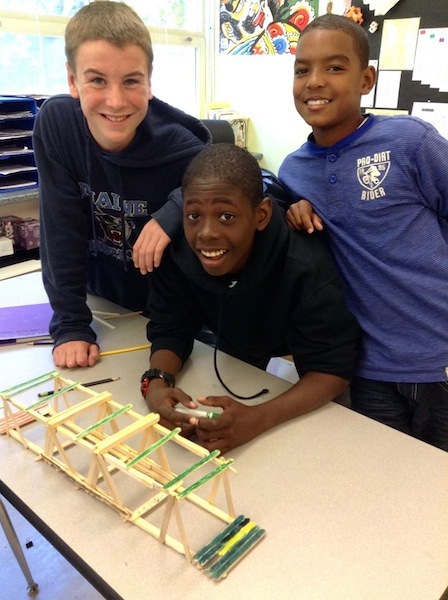 Check out our new video that gives you a glimpse into the life of the Deep Creek Middle School. 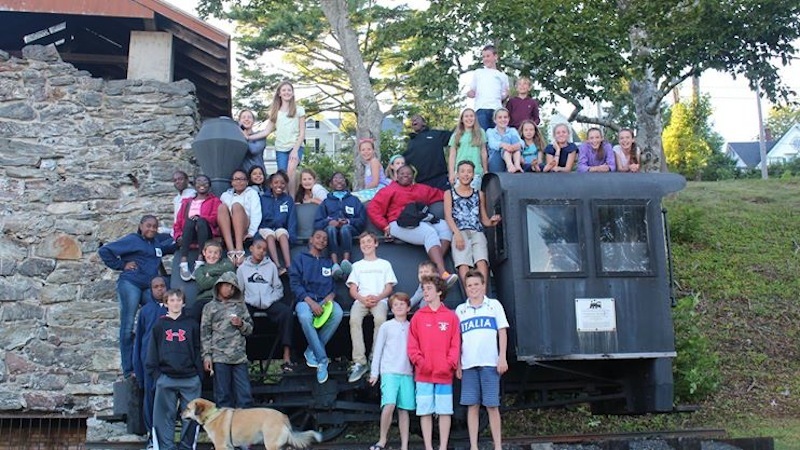 Last week, 15 students from Deep Creek Middle School and 34 students from Preston H. Albury High School attend a joint Eco-Club event last night at the Leon Levy Native Plant Preserve in Governors Harbour. 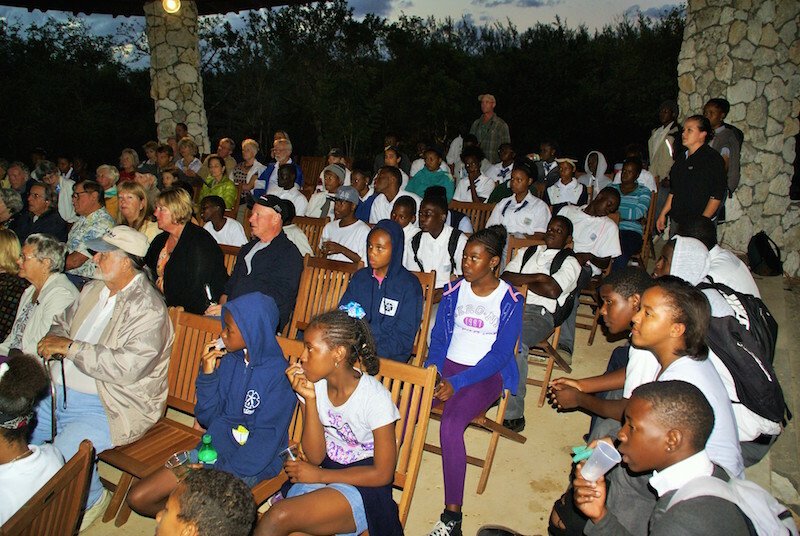 With a whopping 49 students, we made about half of the audience for the lecture by John Mylroie on Caves & Blue Holes in the Bahamas. Before the lecture students had an hour to check out the preserve and practice some of their terrestrial plant identification with a contest on who can ID the most plants. 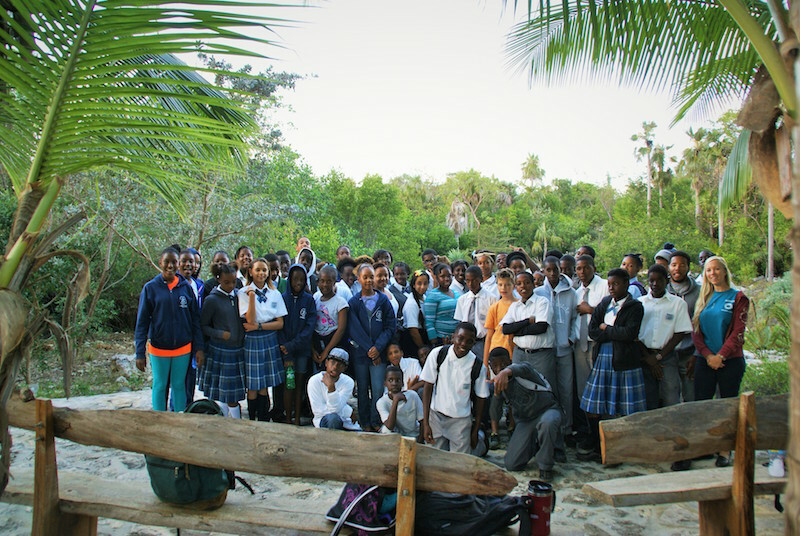 The freshwater wetland area with turtles was, of course, a huge hit for students. Hiking through bromeliad filled coppice was also especially exciting just as the sun was setting. 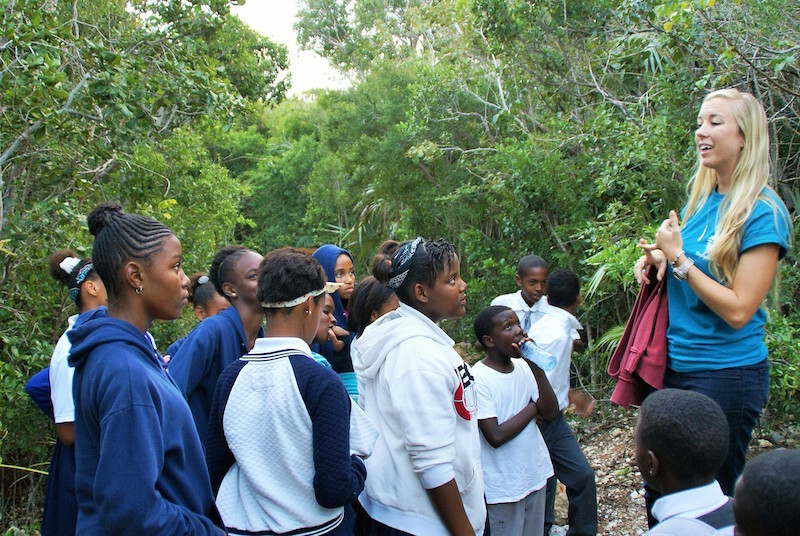 Mr. Mylroie, an incredible geologist, may have used some big science-y words but students were exposed to information on how geologic formations formed with change in sea level, extracting fresh water from wells, and ways to preserve these precious formations found all over The Bahamas. DCMS Students’ Book Reviews Published Online! As part of the National Day on Writing celebrations, Deep Creek Middle School students wrote reviews of their favorite books. 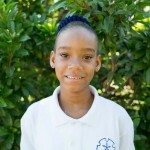 Seventh graders Khiara Knowles and Alicia Albury had their reviews published by Amazing Kids! Magazine. We are so proud of them and thrilled they got the opportunity to publish for an authentic audience. The students rotated through three stations that focused on different writing styles. 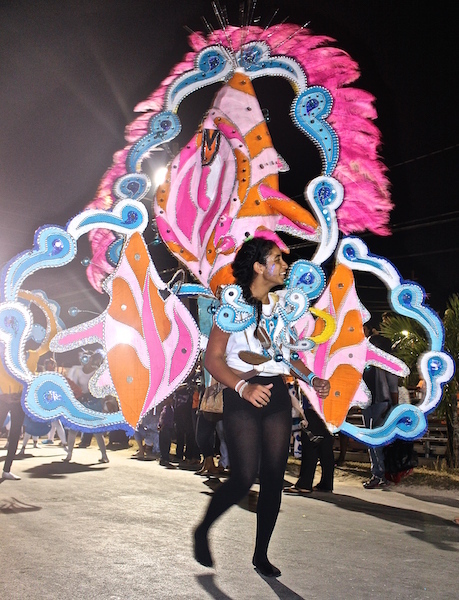 In one station, students wrote poems based on George Ella Lyon’s poem, “Where I’m From.” The students changed the words to describe life in The Bahamas, which Jade Knowles of Tarpum Bay enjoyed. “I like the ‘Where I’m From’ poems because you can describe yourself in a different and unusual way,” says Knowles. Sidhira Johnson and Aaron Turnquest write “Where I’m From” poems. 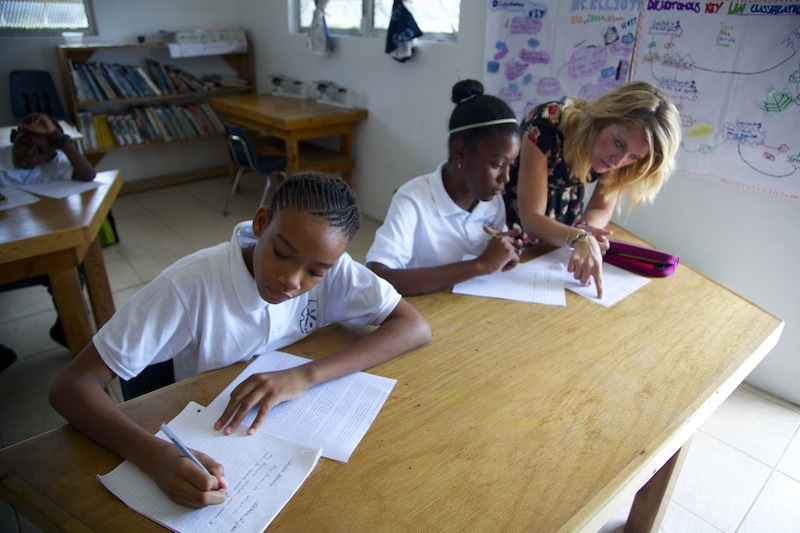 Science teacher Nikki Elliott assists seventh graders with their travel writing. 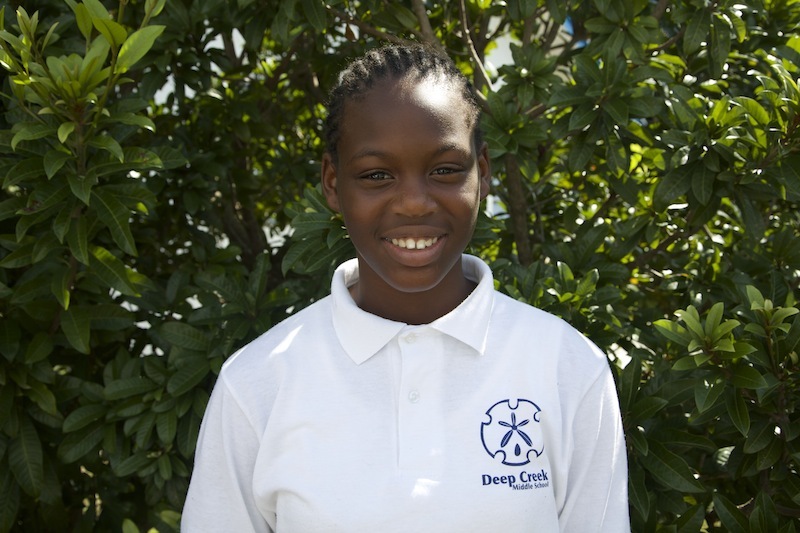 The trip fits into the school’s science curriculum because as seventh graders, they learn about marine ecology. The Maine trip includes several days at Tanglewood Learning Center, an outdoor education center where the students studied forest ecology and species identification. 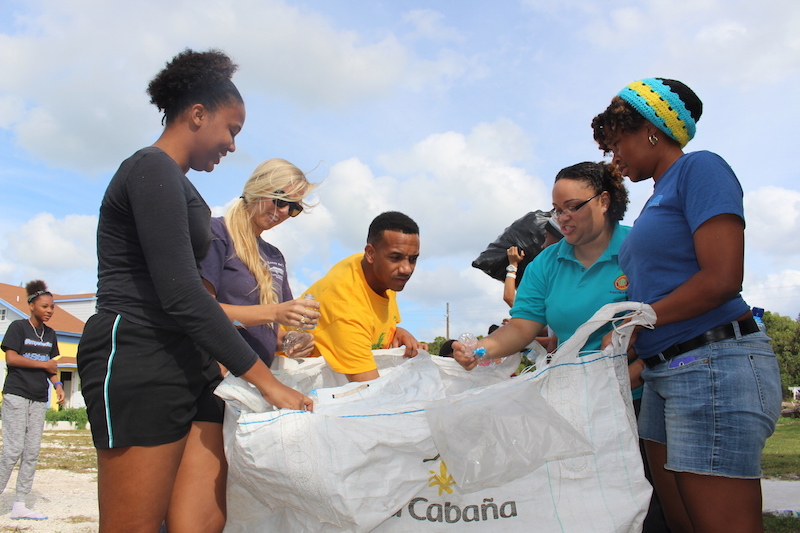 The students appreciated the opportunity to study ecology in a coastal setting that is different from their own. 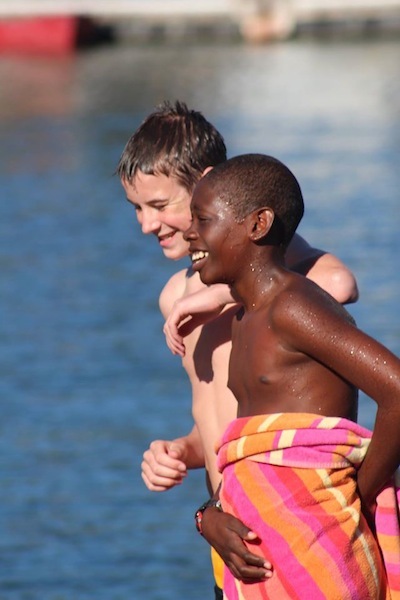 Kenvado Knowles of Tarpum Bay said, “The dark water color was surprising!” Despite the frigid temperature, several DCMS students bravely swam in the ocean. For Knowles, it was the best part of the trip. 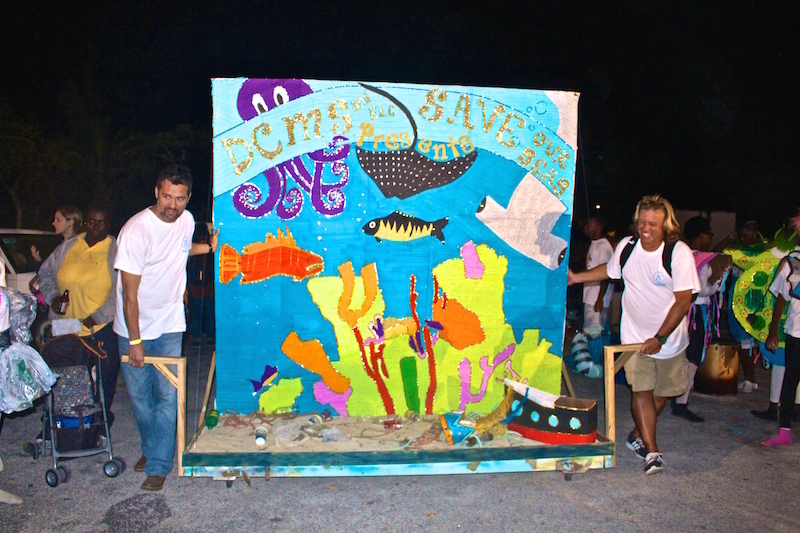 Summer may be a time for relaxation, but the Deep Creek Middle School and Resource Center had one of its busiest summers yet. 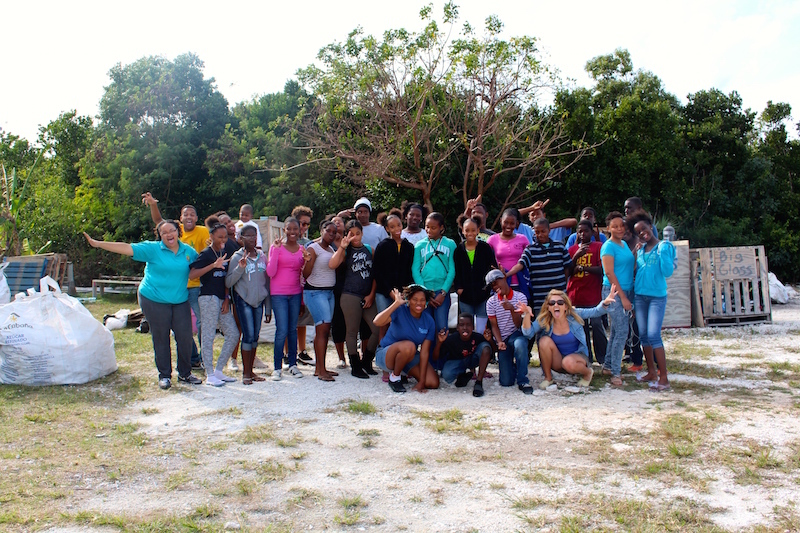 There was a new camp and opportunity to explore Eleuthera during almost every week of the summer. 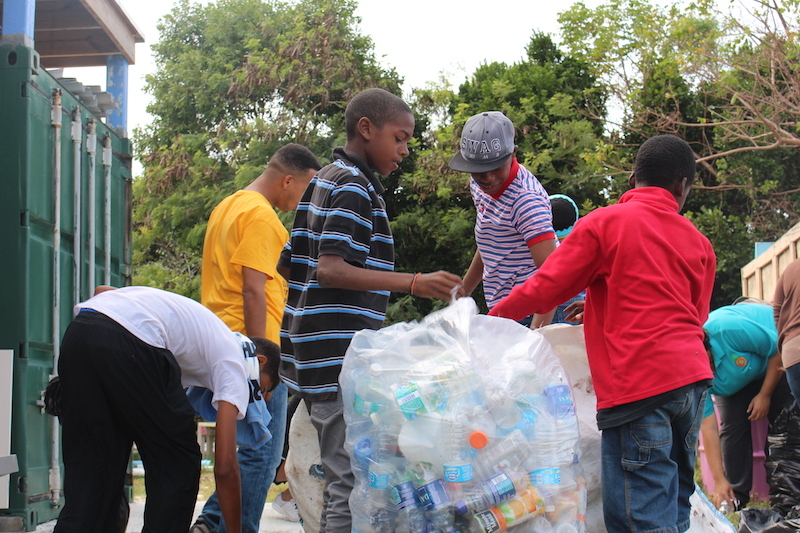 The programs kicked off with he Marine Debris & Me Plastic Pollution Camp taught participants about one of the major issues affecting the island. They took part in scientific research and helped create solutions to the problem, one of which was making beautiful art from beach plastic. 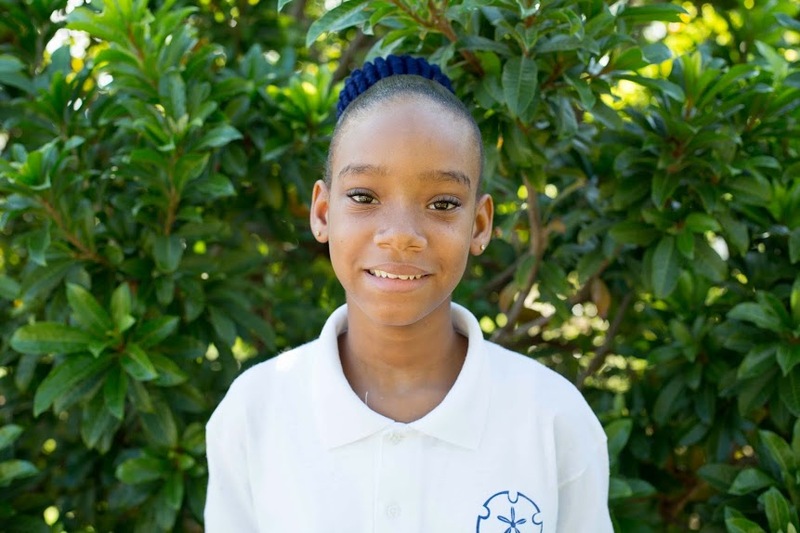 Along the same idea of how to live sustainably in The Bahamas, the Sustainability Camp taught campers about water conservation, permaculture, aquaponics, biodiesel, renewable energy, and waste management. 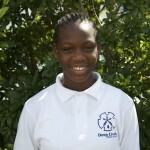 This summer’s sleepover option was the South Eleuthera Kids Camp. 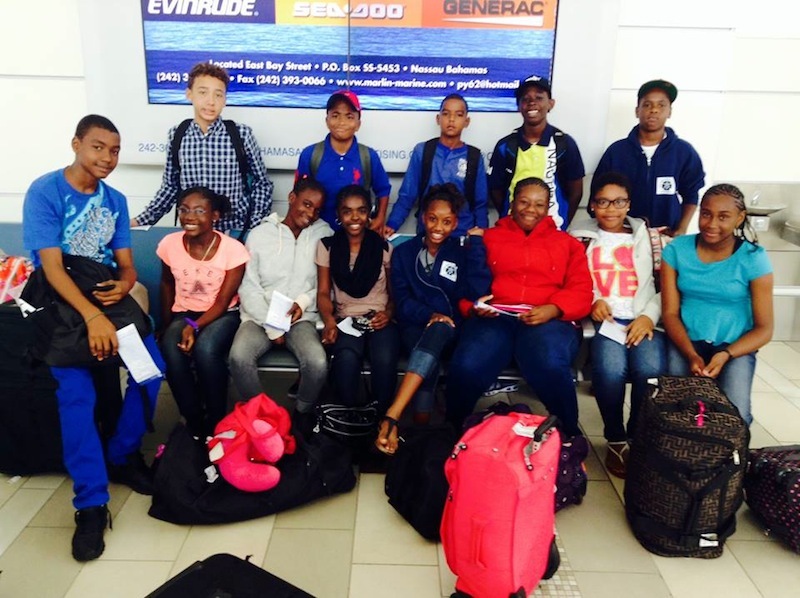 This popular program offered kids the opportunity to experience outdoor adventure, such as boating, snorkeling, and swimming. 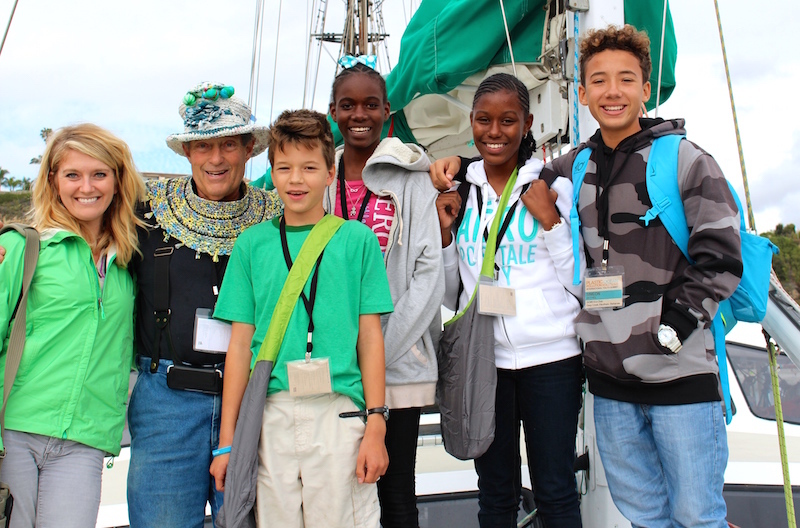 They experienced hands-on learning in marine ecology, conservation, sustainability and “green” living. After full days of adventure, campers spent the night at the Island School. Students in Grades 9 – 12, as well as their parents and teachers, were invited to join College & SAT Boot Camp at the Rock Sound Mission. 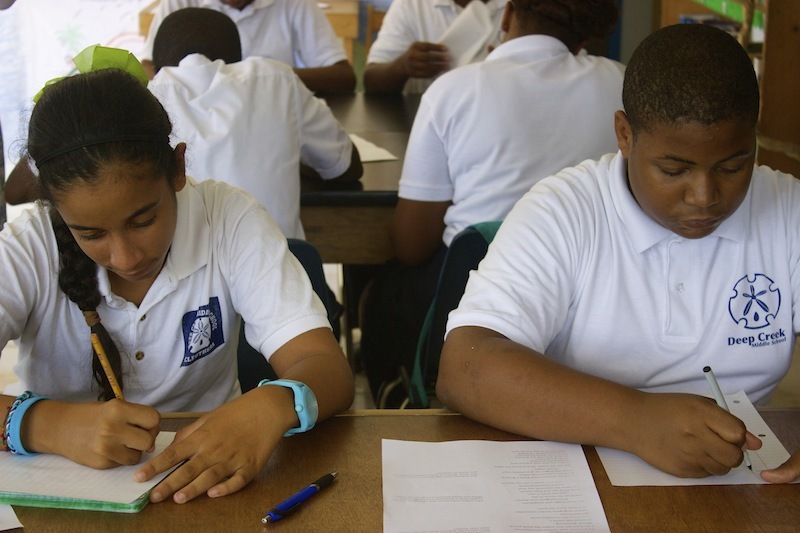 The aims of this camp were to provide study tips and content knowledge for the SAT. 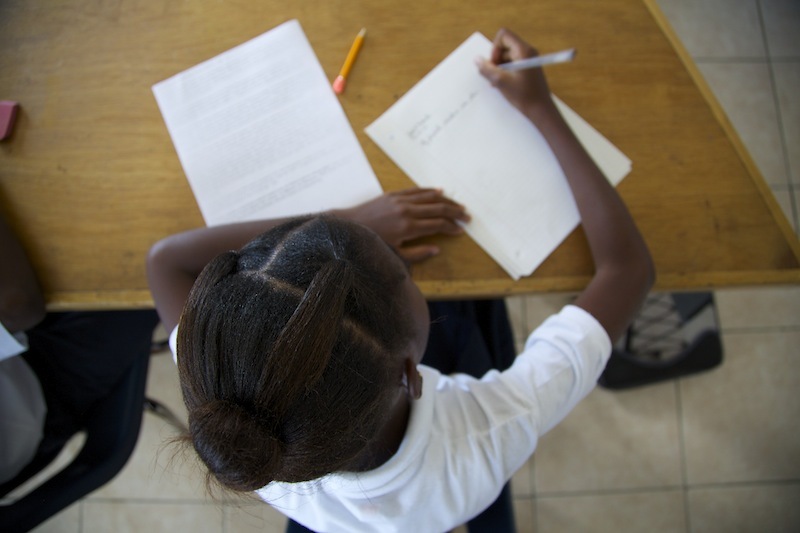 In addition to offering a practice test, participants also received information on college and scholarship planning. 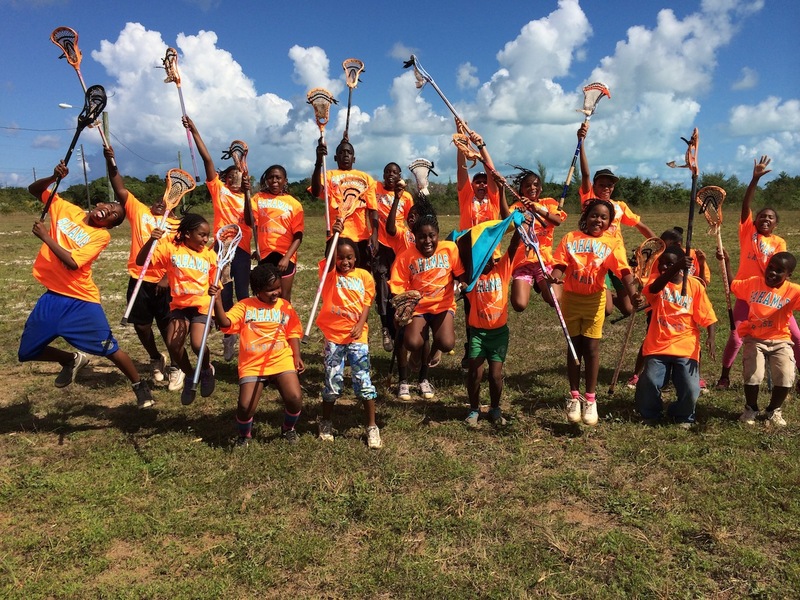 In its third year, International Sports Education’s Lacrosse Camp was a great success. Of the 24 students, 14 were back for their third summer in a row. Camp Organizer and Island School alumnus Eliott Wellenbach (F’11) said, “Our goal is to promote the game of lacrosse, while fostering character development through leadership, teamwork, and sportsmanship on and off the field. It has been exciting for us to see this unfold over the past three years and we are even more excited about what the upcoming ones will bring.” The skills learned at Lacrosse Camp stay with the athletes. Zachary Carey (DCMS ’14) has enjoyed the camp for all three years and will be attending Perkiomen School in Pennsylvania this year, with the goal of playing on the lacrosse team. 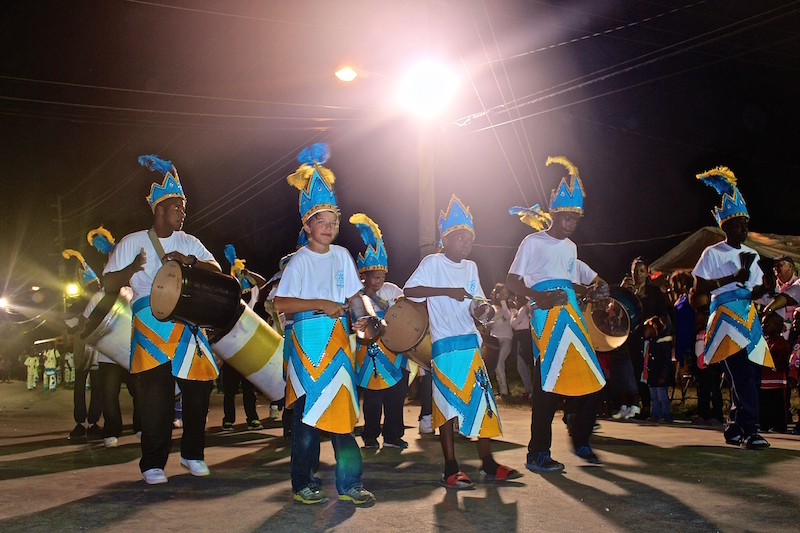 We thank everyone who organized and participated in our summer programs. Big things are already being planned for next year! 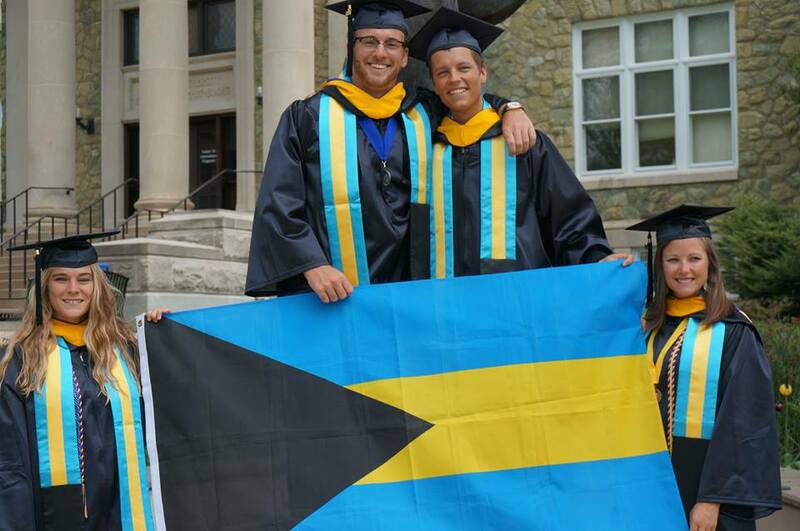 The West Chester University student teachers with their colleagues who were placed at the Center for Exceptional Learners at graduation their, celebrating their time in The Bahamas!